During Sequim’s Annual Lavender Weekend, experience gorgeous fields of purple lavender and taste award-winning Olympic Peninsula wines along the way. Eight wineries of the Olympic Peninsula in Port Angeles, Sequim, Port Townsend and Chimacum will be celebrating the festival with a special Lavender Weekend Wine Tour. Drive the self-guided tour and experience these unique and distinctive wines handcrafted by our local artisans. Taste Olympic Peninsula-made red wines, white wines, specialty dessert wines and ciders while experiencing the warm hospitality our wineries are known for. On offer will be established award winners as well as the latest releases. Wineries will be open during their normal tasting room hours. Click here for the hours and locations of each Olympic Peninsula winery. Throughout the weekend, the Olympic Peninsula Wineries will also make their wines available at the Wine & Beer Garden in Sequim’s scenic Carrie Blake Park (202 Blake Avenue). Try a selection of two wines from each of the eight Olympic Peninsula Wineries, with your choice of purchasing by the glass or by the bottle. Stop by Friday and Saturday any time between 10am and 7pm. On Sundays, the Sequim Lavender Wine & Beer Garden will be open 10am to 6pm. This Lavender in the Park event not only includes a chance to sample delicious local beer and wine. The lovely setting of the park also includes live music with FREE admission! Don’t miss these opportunities to celebrate both the wine and lavender produced by our region’s rich agricultural heritage. 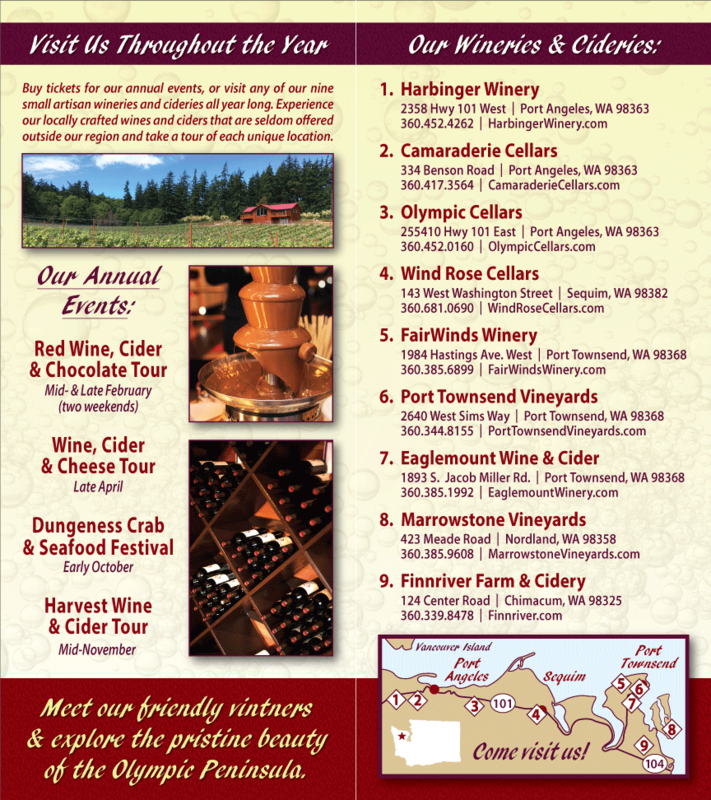 The eight members of the Olympic Peninsula wineries are: Harbinger Winery, Camaraderie Cellars, Black Diamond Winery, Olympic Cellars, Wind Rose Cellars, Eaglemount Wine & Cider, FairWinds Winery and Finnriver Farm & Cidery. 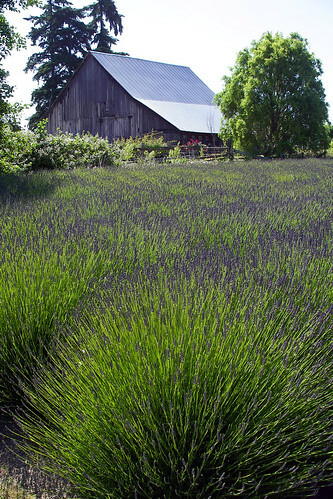 From all of us, we wish the lavender celebration visitors to our area a happy 2012 Sequim Lavender Weekend!